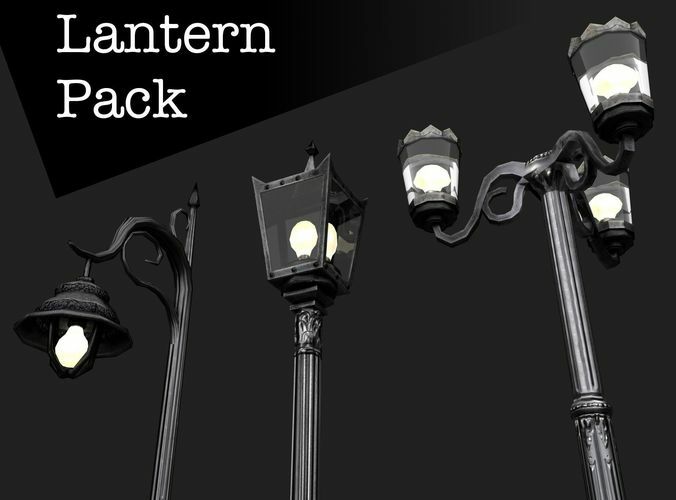 The package contains three different and interchangeable street lamps with posts in the style of the Victorian era. All three lanterns together contain about 4500 vertices. There are three textures to 2048x2048 and one texture to 1024x1024 and the corresponding normal maps included.